Just found this on a carboot sale, £3.00! Box sealed with very old dried out sticky tape, so I thought I won’t damage the box and try to open it, I will wait until I get home and gently cut the tape and open it. So I set off home, excited to see what looks like a great find from 1988, once home I carefully open the box to find everything but.....?.. That's too bad! My hull isn't anything too special and I'm sure you can make one from the plans. I like the hull I got in the AM Privateer though, it's top notch. 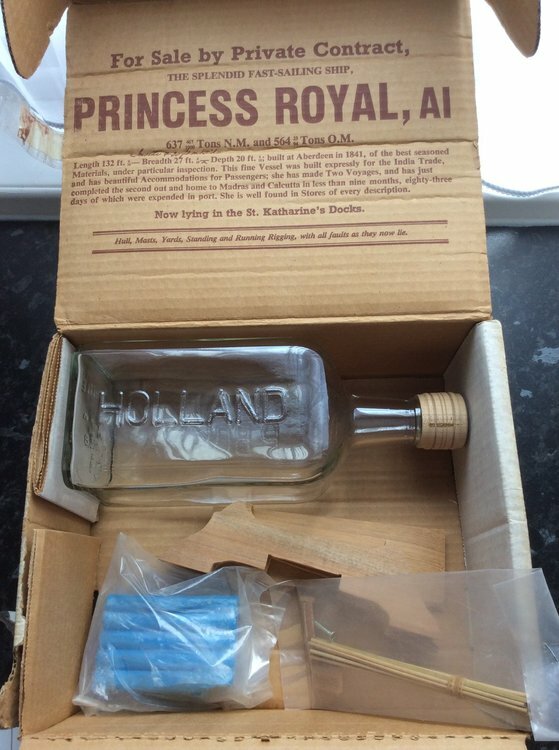 The bottle I got with my AM Princess Royal is actually very nice, it was made in Germany, not France, the AM Privateer bottle I have was made in France. 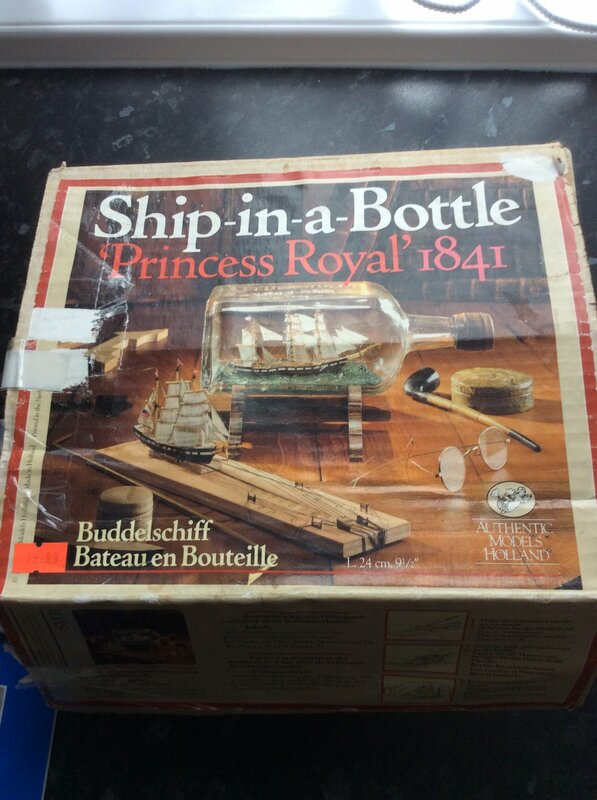 So for £3 you got ship plans, a nice set of instructions, a suit of sails, a nice bottle stand and some bamboo skewers. Mine cost six times that but I got a complete package. 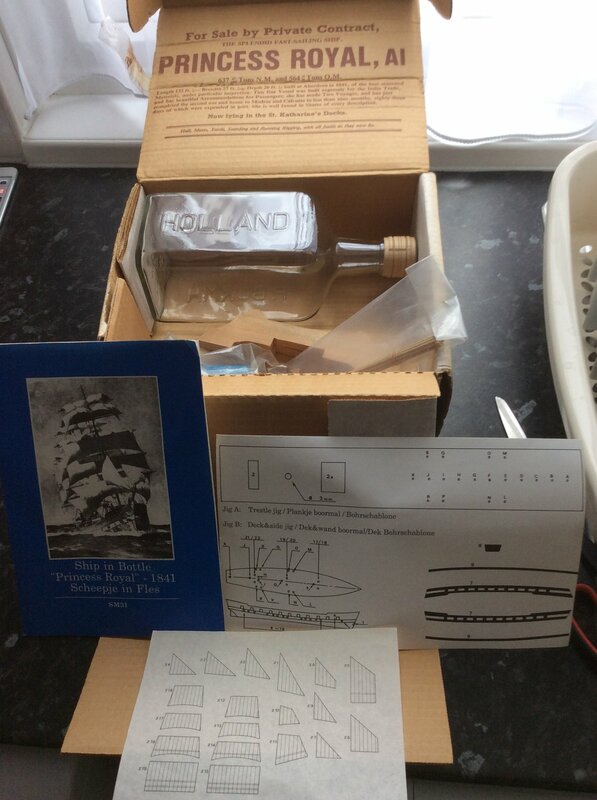 I really can't justify the cost of these kits but having a ship plan and a bottle to fit the plan is essential.